Fred St. Amand Jr would like to extend his deepest condolences to the many friend & family of Mary C. Regis. Mary Clementina Regis was born on August 29, 1921 in Trinidad, West Indies to Charles Ernest Headley and Mary Paspalina Headley, she was the last of 12 children. Mary transitioned to be with her Lord and Savior on Sunday, August 26, 2018 at the age of 96. Mary was married to the late Cyril Ford Regis. Mary came to the United States on November 30, 1947. She settled in Brooklyn, NY. Mary became a United States citizen on May 19, 1953 and was very proud of her citizenship and voted at every election. Mary retired from the city of New York's Medicaid program on September 21, 1985. Even though she retired she stayed active in the union. You can't talk about Mary Regis without talking about her church and her love of Jesus Christ. When she first came to Brooklyn she joined Galilee Baptist Church under Pastor Reverend Grant. In the 1980's she joined Mount Pisgah Baptist Church. The last church she attended was Greater Restoration Baptist Church under the leadership of Pastor Bogan. 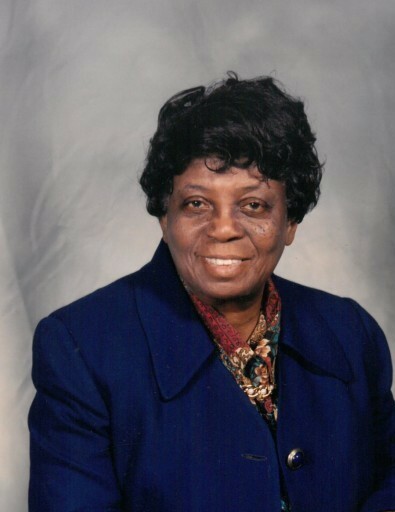 Mary was an active member of the Atlantic Terminal Senior Citizen Center in Brooklyn. She was on the advisory board and a member of the choir. Mary leaves to cherish her sweet memories, her Daughter, Theresa Regis: her Grandson, Damond Yearns and his wife Olivia and their children (her great grandchildren) Sheridan Yearns and Pierce Yearns. Also, three nieces Glenda Canterbury of Miramar, FL; Laura Bradley of Brooklyn, NY; Margaret Bass of Fresno, CA., and one nephew Alfred Headley of Brooklyn, NY, as well as many great nieces, nephews and other relatives and friends. Mom, we will miss you so deeply. Your strength, wisdom and love of family and God will always resonate in our souls.